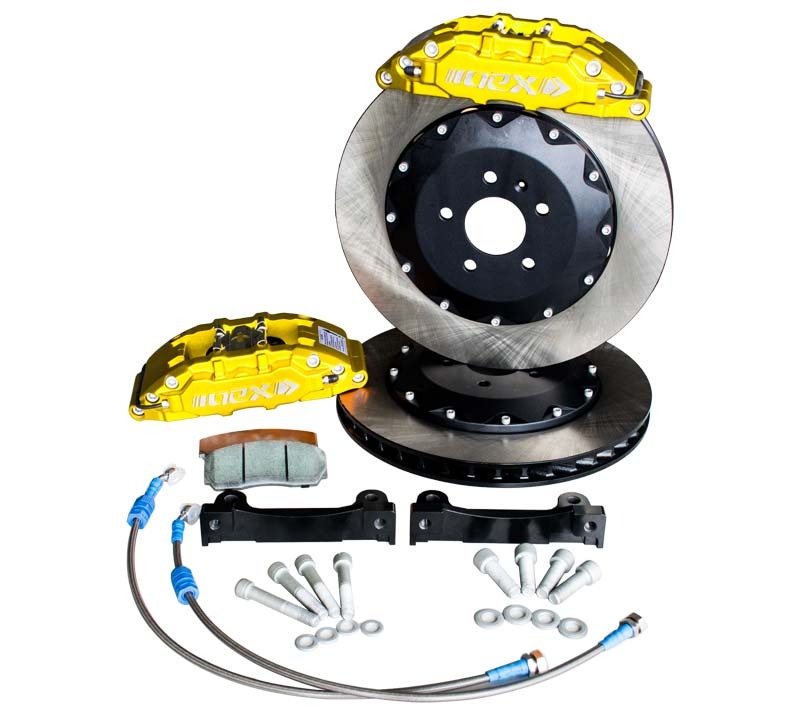 The sole purpose for you to upgrade your brakes is to be able to brake harder and deeper. Using our extensive knowledge in production in forge billet aluminum and our expertise in OEM aftermarket parts since 1999, NEX's ultra-high performance big brake systems are designed to solve all your braking needs. Tested extensively at the Canadian Tire Motorsport Park in Canada, NEX brakes delivers a nearly 10% in durability over our competitors. NEX big brake systems is your ultimate choice when coming to stopping power. Meaning of marks in application list are as followed. X : Not available. Interference problem, cannot be produced. Blank : We do not have the production data. Contact us if you have interests in it. O : Available. OE brake is drum-in-disc system. ● : Available. OE brake is disc brake system. Add US$250/set for parking brake. △ : Available. However, hand brake will be disabled after rear brake installation. P : OE with electronic parking brake system. We would not suggest to change the brake kit. For application list, please click your car brand to find more informatioon. Some 4x4 or SUV models may need some extra cost which is listed in the application list owing to the material use.